There’s no denying that New Zealanders are big travellers, which is partly due to our country’s long distances to many popular international destinations. For those who frequently travel overseas, or between the North and South island for work or to visit family, extended periods away from home can cause concern about leaving the home empty or how to best protect family members while you’re away. 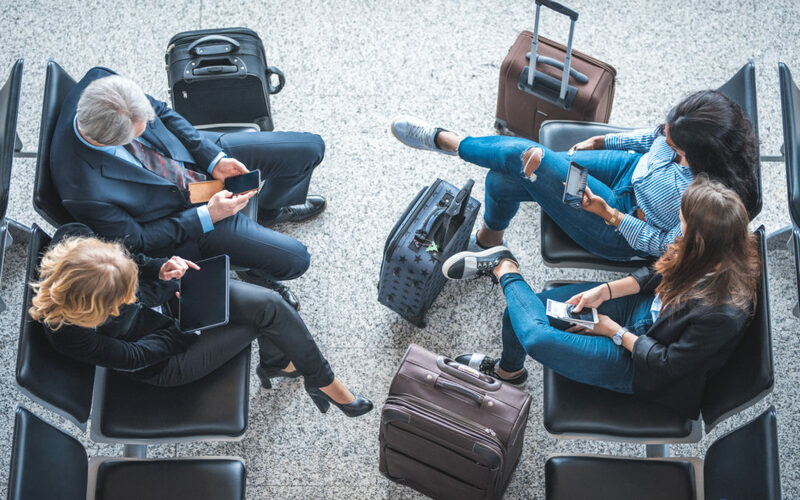 If regular travel is part of your household’s routine, the following tips and solutions can help make being away from home a little more stress free. It’s polite to make conversation but sharing details about where you’re going, how long you’ll be away from home and who lives in your house can be a security risk. Be careful not to give away your travel plans to taxi and ride-share drivers or passengers. Baggage often can go missing or become lost altogether. It’s important to keep any identifying documents that display your name, home address, date of birth and other personal details in your hand luggage at all times to minimise the risk of them getting in the hands of strangers. Even travel documents such as itineraries can provide enough detail to compromise your home security and online accessible services, such as banking. Keep passports, your driver’s licence, and other ID on you or locked in a safe when travelling. Before you leave on a trip, there are so many things to remember that the last-minute act of arming the security system can be easily forgotten (especially if you’re running late and trying to leave the house in a hurry). ADT Security customers can use the Interactive Security app to arm their alarm from their smart device. Simply log in at any time on your journey to set the alarm and remove the uncertainty that can come with rushing out the door. ADT Security has both indoor and outdoor cameras which allow you to see exactly what’s going on at home from your smart device, using ADT Security’s interactive app. For a small monthly fee, ADT Security customers have the option to upgrade their monitored home security plan to include up to three patrol car responses per year. This is an ideal service for people who travel regularly and live on their own, particularly if they have nobody around to keep an eye on the property. If you’re far from home and receive a notification that the alarm system has been triggered, authorising ADT to send a patrol car to your house can be very reassuring. Once the patrol car arrives, they will assess the situation and, if they do find evidence of a burglary, can call the police on your behalf. New Zealand is a nation of travellers but work trips and other extended periods away do require extra vigilance when it comes to home security. However, with a few simple precautions and a professionally installed monitored security system, time away from home can become a worry-free experience.